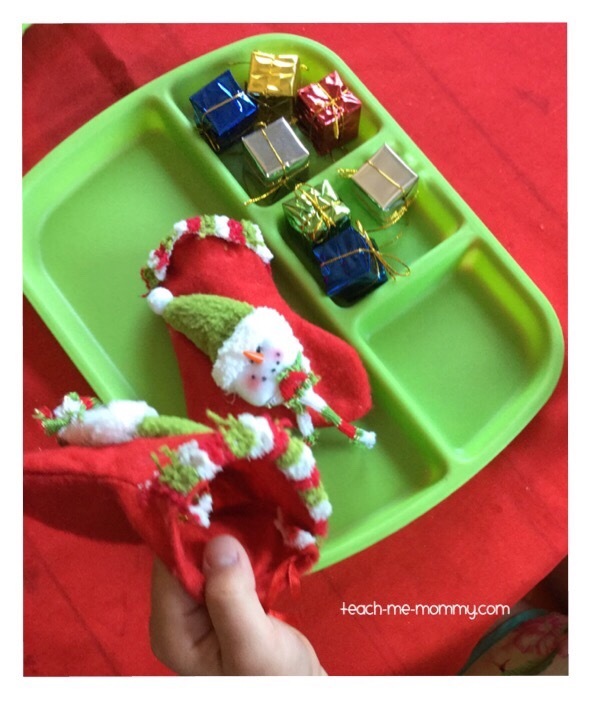 Stuffing stockings this year? 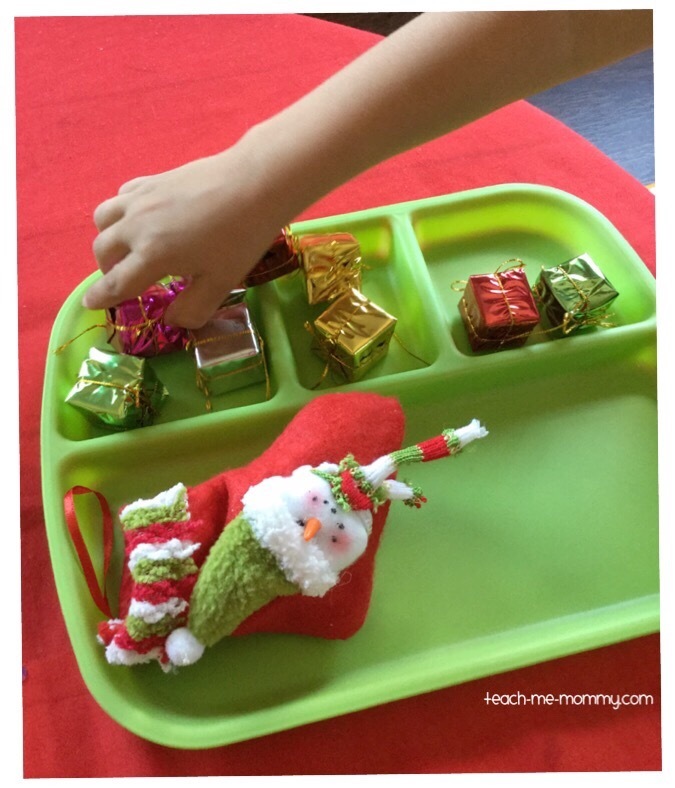 I just love to fill my kids’ stockings with all kinds of small gifts, just because I know how much joy it brings them when they find it filled on Christmas morning!This is a simple fine motor activity as part of our activity tray series every Wednesday in December, today we are stuffing stockings! 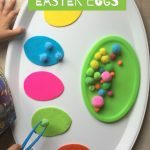 Originally, I set this tray up for my almost 3 year old, but my older child loved this simple activity too! 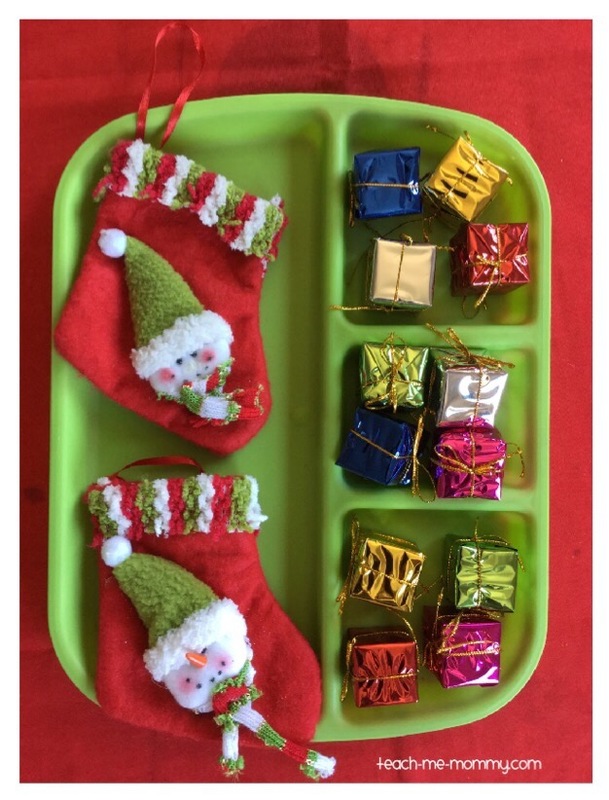 I used one of our beloved trays, together with two small stockings and fake presents ornaments. 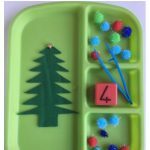 This activity works mainly on fine motor skills: using a pincher grip to hold onto the present and adding it to the stocking. It works on bilateral coordination skills too: one hand must open he stocking, while the other hand places the presents inside. Also hand eye coordination: getting it into the opening! 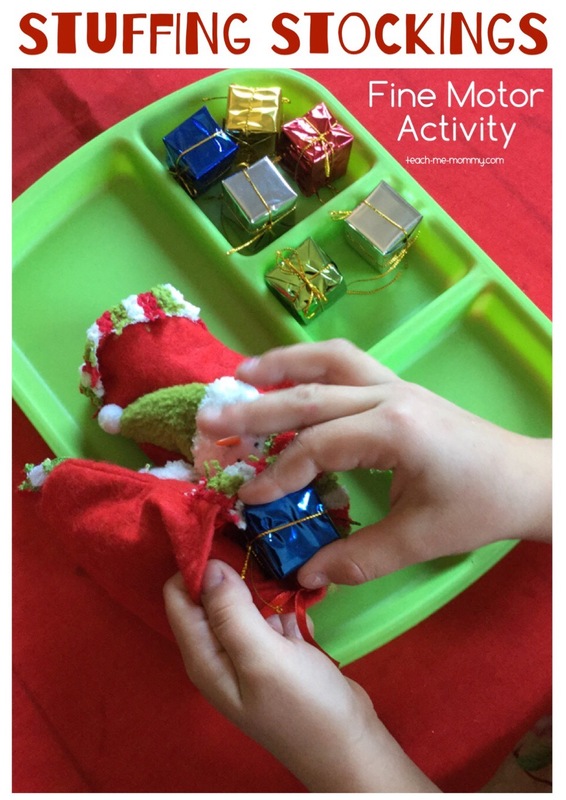 I added a challenge to the activity and asked my older child to count how many presents will fit into the stocking: adding playful counting opportunities. Here I asked my 3 year old to only fill it with green presents, then blue presents etc. Working on visual discrimination and classification sorting the colours. 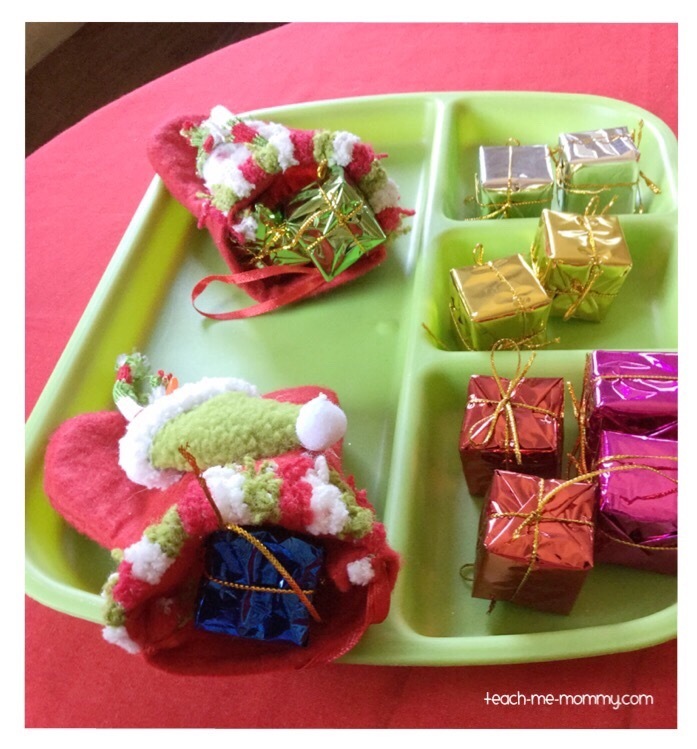 Have you seen the other CHRISTMAS themed tray activities?